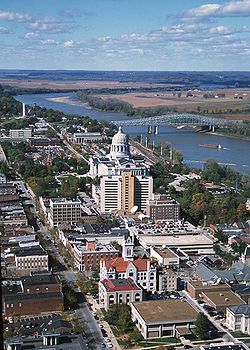 Jefferson City is the capital o the U.S. state o Missouri. It is coonty seat o Cole Coonty. (The Jefferson City metropolitan aurie includes aw o Callaway an Cole coonties.) As o the 2010 census, the population wis 43,079. Jefferson City wis namit efter Thomas Jefferson, the third preses o the Unitit States. ↑ "Contact the Mayor." City of Jefferson. Retrieved on May 21, 2010.